Scoring a Test century for the nation is the one dream that every upcoming batsman harbours. Doffing your helmet, raising the bat to accept the applause and kissing the national badge sewn into your team uniform is the dream sequence that every young boy visualizes every time he thinks of his batting future. The situation is complex when the cricketer in question does not play for the nation he was born in. There are many such cases in cricket when a cricket born in one nation has accepted another country where he can enjoy greater opportunities in to rise up in the game. 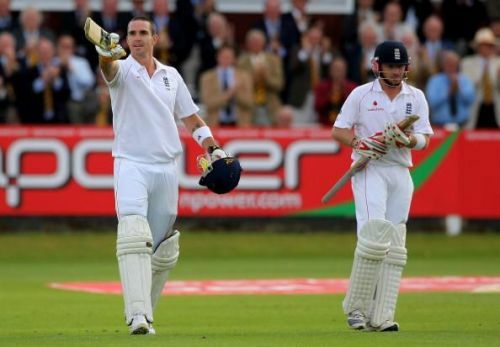 The most popular example of that remains Kevin Pietersen, who was a point of controversy everytime England squared off against South Africa. Cricket has thrown up many interesting facets in over the years. One fascinating aspect of that is the batsman scoring a Test century against his birth nation. While there have been plenty of examples of English and Pakistani players scoring a century against India due to political reasons, the phenomenon has been repeated in modern times as well. Here are five modern batsmen who scored a Test century against the nation of their birth. The Australian all-rounder was born in Birmingham, England, on 9th June 1975. He was adopted at the age of three years and his family migrated to Queensland, Australia where Andrew would hone his cricketing skills. Symonds was named as the young cricketer of the year in 1995 after a county season with Gloucestershire. At that point, Andrew Symonds had the choice of playing for England (birth nation), West Indies (ancestry) or Australia. The all-rounder chose to play for Australia despite being called up for England A team on tour to Pakistan. In three years, Symonds earned the ODI debut for Australia but failed to impress initially. Captain Ricky Ponting backed the calibre of this all-rounder for the 2003 World Cup, and a spectacular showing in the global tournament helped Symonds getting the baggy green as he made his Test debut. In 2006 Ashes series, Andrew Symonds faced England at home turf. After scoring 26 and two in the Test at Perth, ‘Symmo’ was at his best in the boxing Test at Melbourne. In reply to England’s 159, Australia found itself tottering at 84/5. Symonds and Matthew Hayden stitched a 179-run partnership together to ensure an innings win for the home team. 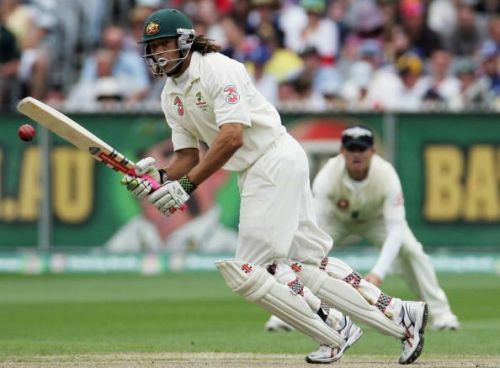 Andrew Symonds scored a belligerent 156 from 220 balls to complete a Test hundred against the nation of his birth.